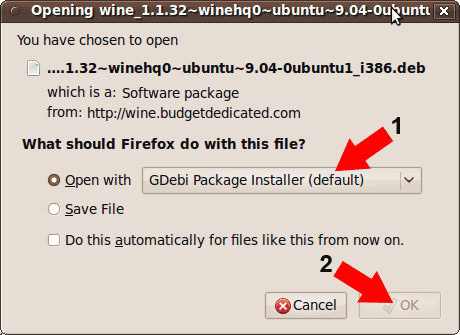 How to Install WINE on Ubuntu 9.10. WINE (Windows Emulator) appears to be currently missing from Ubuntu 9.10 repositories. In the meantime, the following tutorial explains how we quickly and easily got WINE running on Ubuntu 9.10, so that we could continue emulating or proceed to emulate Windows software in Linux. If all goes well, you should now have WINE up and running on your Ubuntu 9.10.